Product #932 | SKU Z-ZHH | 0.0 (no ratings yet) Thanks for your rating! 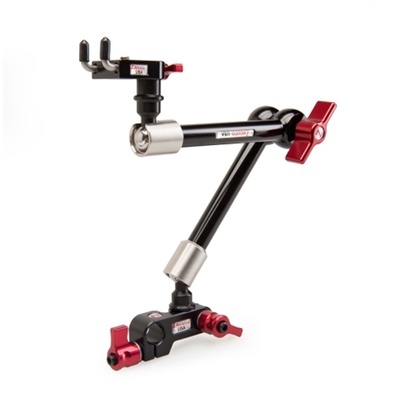 The Zacuto Zonitor Handheld Kit for 15mm/19mm Rods allows you to quickly release the monitor from the Zamerican articulating arm and the arm from the Zacuto 15 mm Z-Mount or 19 mm Zandy. It enables devices, with a 51.44 cm (or 41.61 cm with 51.44 cm to 41.61 cm adaptor) screw hole, such as an external on-board monitor, lights, and/or hard drives to be mounted with the help of a Zamerican Arm. The Zonitor Handheld Kit comes with Zmount II, Zamerican V3 Large Arm, and Zicromount III.